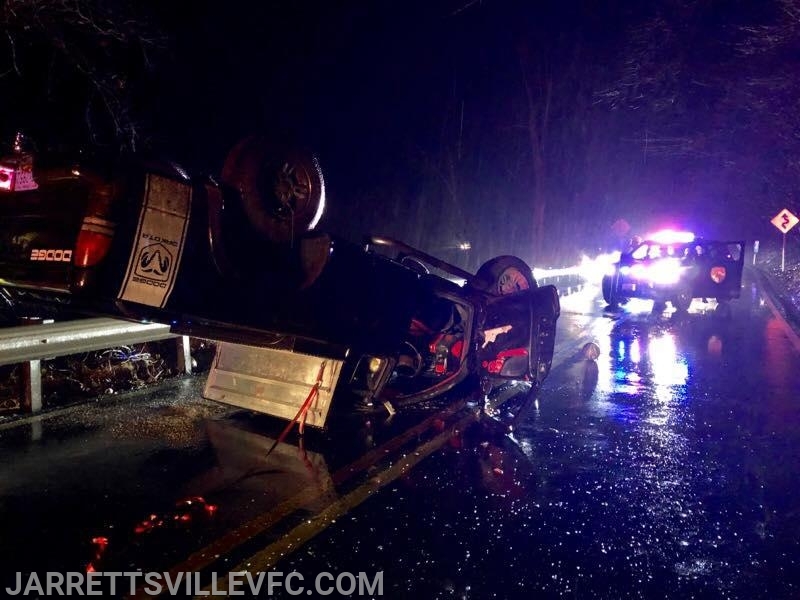 The Jarrettsville Volunteer Fire Company was alerted for a reported motor vehicle accident with roll over in the area of Route 24 and Rocks Chrome Hill Road. First arriving units reported a single vehicle overturned on it's roof. All subjects were out of the vehicle upon arrival and were assessed by Medic 791. Rescue 751's crew secured the scene of all hazards before returning to service.